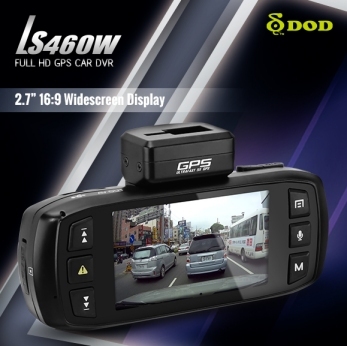 The LS460W is packaged with a suction mount and sticky ultra firm mount - the user can choose which mount is going be most appropriate for their own vehicle. 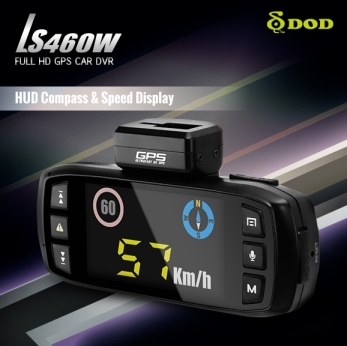 DOD LS460W HD Car Dash Camera. 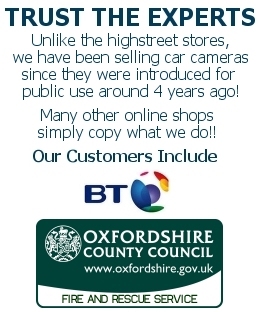 Protect your no claims bonus discount with a camera which is truly a stunning example of technology being used for a practical purpose. Made by the world renowned DOD electronics company, the LS460W was released in late 2014 and geared towards superseeding their previous models (in particular the LS330) with new features and more up to date components. The style is a sleek and elongated and is small enough to be easily mounted below the car mirror or in most cars, just behind it. The earlier DOD LS430W has been an incredibly successful model and we have no doubt that the DOD LS460W camera will perform just as well - if not better, due both to its new features and DOD's ongoing dedication to producing top quality electronics at an affordable and reasonable price. We are often asked about the method used to mount the camera to the glass, generally either suction or fixed with an adhesive sticky pad - this camera comes with BOTH types of mount and a 4 Metre power lead, so choosing the type of installation, the location and the fixing is completely flexible from the outset. 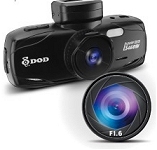 Official Reseller of 100% Authentic and Guaranteed DOD Car Cameras. High Speed refresh rate GPS system allows for up to the second GPS speed and position provided data with virtually zero lagging. The SOS lock file function allows the owner to press a button to lock the file during recording - preventing it from being deleted by looping. 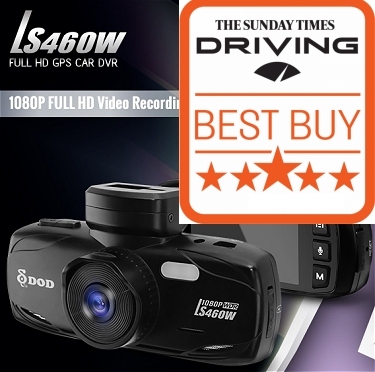 Full and true 1080p HD videos are recorded to capture the details of the road and the cars around you. Impact sensors - known as shock or g-sensors will place a protect lock on the current video file in the event of a bump or extreme g forces. Date and time stamping along with other configurable information such as a driver id can be placed on the photos and videos produced by the LS460W. A large f 1.6 aperture lens captures more light and makes night time recordings brighter with more detail. Super extended ISO settings enable the sensor to capture and enhance details recorded in low light conditions. Power is supplied directly from the cars cigarette lighter - no need for fancy wiring or hiring an expensive car electronics specialist. Motion detection will start the LS460W camera recording when motion occurs in front of the lens. An overspeed warning can be configured as a caution against driving faster than a given speed. Useful on long haul motorway drives. Lock your camera with a personal password to ensure the settings cannot be tampered with. 6 Layers of Japanese high quality glass go into the production of the LS460W camera lens, allowing more light through for a better result! Seamless software allows the playback of videos and GPS mapping data on your computer. Windows compatible. The Sony Exmor image sensor was specifically designed for use in car cameras and has been adopted for inclusion in the LS460W. No need to concern yourself with correct time keeping on the unit - the time updates itself automatically via the GPS signal. WDR is the standard for producing enhanced night time videos - in conjunction with enhanced ISO a wide aperture and FULL HD - this makes the LS460W the perfect choice for both day and night recording. CRAZY PRICES - THE LOWEST PRICE ON THE INTERNET - 32GB FREE!!!! EXTREMELY POPULAR IN THE UK. LATEST FIRMWARE GUARANTEED. *Orders placed before 3pm Mon-Fri are dispatched 1st Class Signed for the same day. No extra charges for delivery. LS460W SOFTWARE IS COMPATIBLE WITH WINDOWS AND MAC. *Orders placed before 3pm are sent the same day. Orders are sent via Royal Mail 1st Class Signed for. Price above includes postage, packing and a TWO YEAR no questions WARRANTY - replace old with new. I was swayed by the reference to the TV program. Top camera, Top service. I never ever give five stars for anything so four it is ;) Cant break the habit of a lifetime. Delayed and delayed until I was certain as it is for my work, having trawled the net I went for the 460W because I wanted a screen, 1080p and good night recording (taxi driver) and I know the DOD name from forums i'm a member of as a driver. Didn't need any help setting up, there's plenty of cable length and the mount is solid. Night video is superior to what I expected i've made the right choice and know two others in the company I work for have also bought them after looking into mine. Thanks carcamwarehouse. Will buy again if I need to. 5 stars all round. (Above - City driving at night - producing excellent quality video once again. This is why many people agree that the LS460W out performs its rivals with a similar price tag - or indeed more expensive). www.carcamwarehouse.com - - All Rights Reserved.